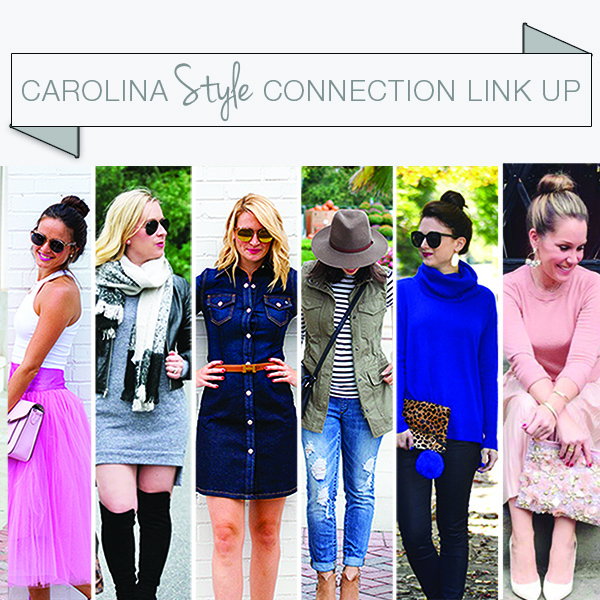 I'm kicking off this week with a link up that I am very excited about, Carolina Style Connection Link Up! 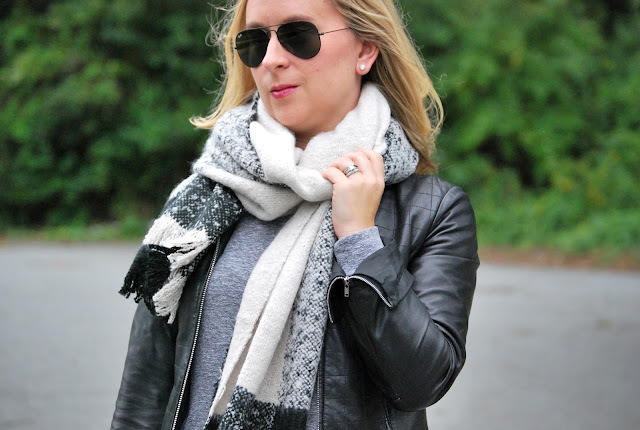 Today we are talking about how to transition your Fall wardrobe into the Holiday season. Let's be honest, budgets get a little tight around the holidays as we are snapping up presents for everyone else. Sure, I love good pieces that can serve up double duty in my closet, but it's an added bonus that it's also a economical. Looking for some inspiration, check out the board below. I hope you join in the fun as the link up will be live all week long! 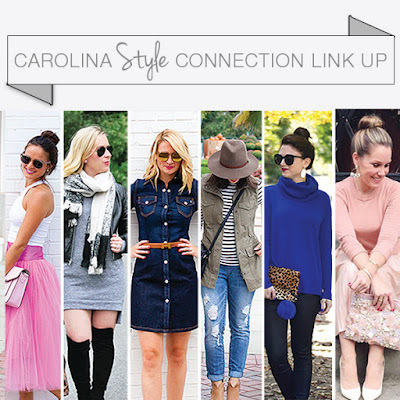 Don't forget to hashtag your looks on instagram #CarolinaStyleConnection. Looking forward to what you have to share! Cool and super chic layers! If that dress weren't sold out, I'd be buying. LOVE. I am LOVING these boots!! 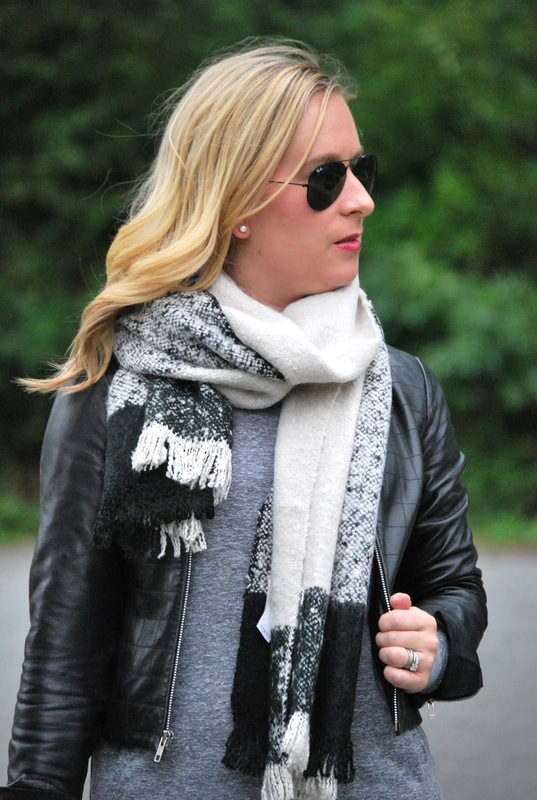 Such a perfect neutral look!